Keeton Solaer aeration systems are solar powered pond aerators and lake aeration systems. Solaer aeration systems are an excellent choice when pond and lake aeration is needed and no conventional electricity is available. Solaer solar powered pond and lake aerators are extremely quiet. The 100% recycled plastic cabinet houses all of the critical components including the charge control system that monitors the solar panel array, the equipment load and the battery back-up system. The battery back-up enables the system to run at night or during extended periods of poor weather. Solaer is designed to operate 20 hours per day and has enough battery capacity to run the system up to three days without any solar input. 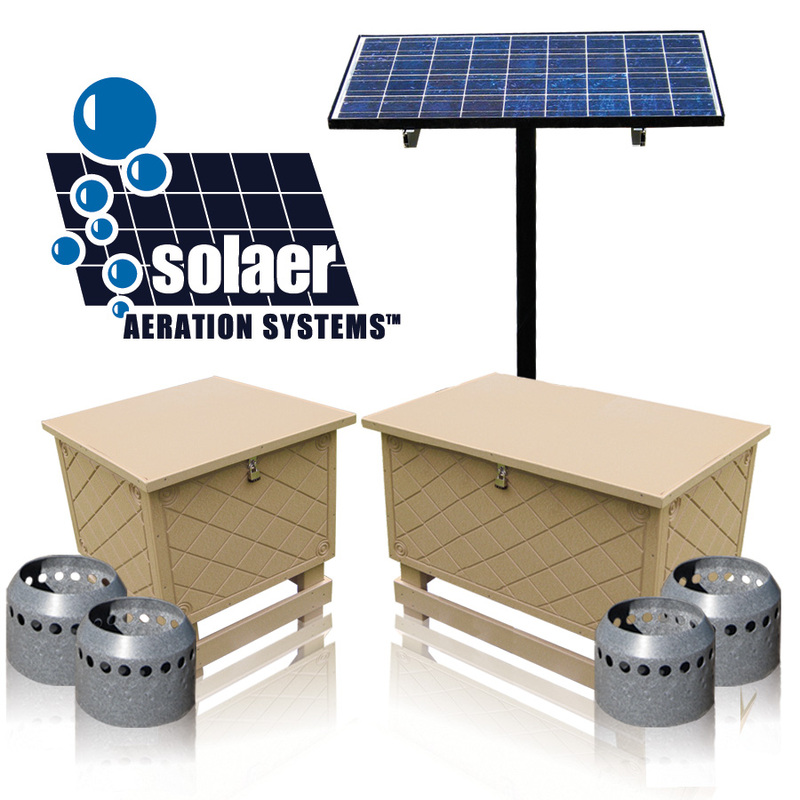 Solaer systems include solar panels with pole mounting bracket, a specially designed, energy efficient compressor, a high volume cooling fan, a fully adjustable aluminum manifold, Duraplate diffusers and self-weighted Alpine tubing.